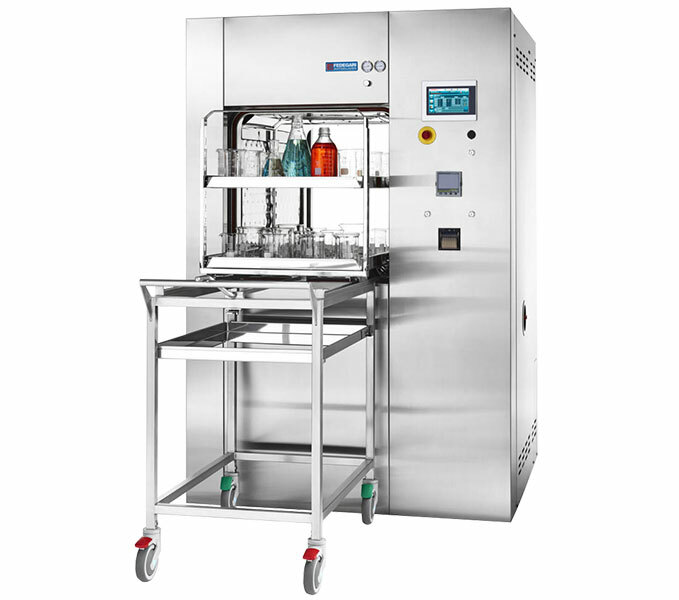 FOB5 Stand-alone Lab Sterilizer presents a great flexibility of use, ranging from quality assurance laboratories in pharmaceutical or food industries, to BSL3 – 4 laboratories in research centres and/or hospitals. 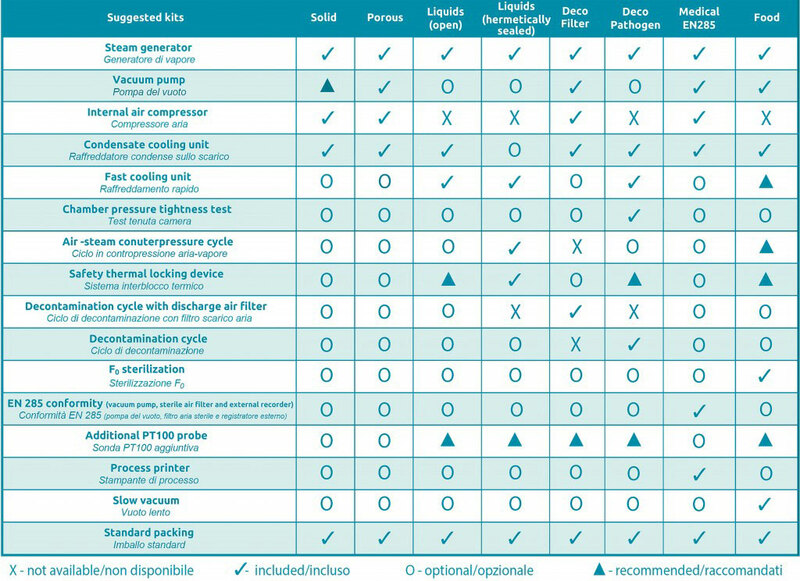 As all the autoclaves of Fedegari Lab Division, FOB5 has a modular design which allows a high flexibility of use for different loads and treatments. Please, click on the link “suggested kits” on the right to check out all the possible configurations referred to FOB5 series. FOB5C-TS: 325 liters – single vertical sliding door. FOB5-TS: 456 liters – single vertical sliding door. 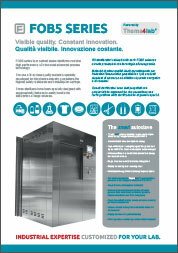 FOB5S-TS: 481 liters – double vertical sliding door. FOB5SL-TS: 590 liters – double vertical sliding door. FOB5L-TS: 615 liters – single vertical sliding door. FOB5SXL-TS: 700 liters – double vertical sliding door. FOB5XL-TS: 730 liters – single vertical sliding door. FOB5 series can be designed with a single or double stainless steel sealing flange (BIOSEAL), making it suitable for laboratory risk category L3 and L4 and operating theater. 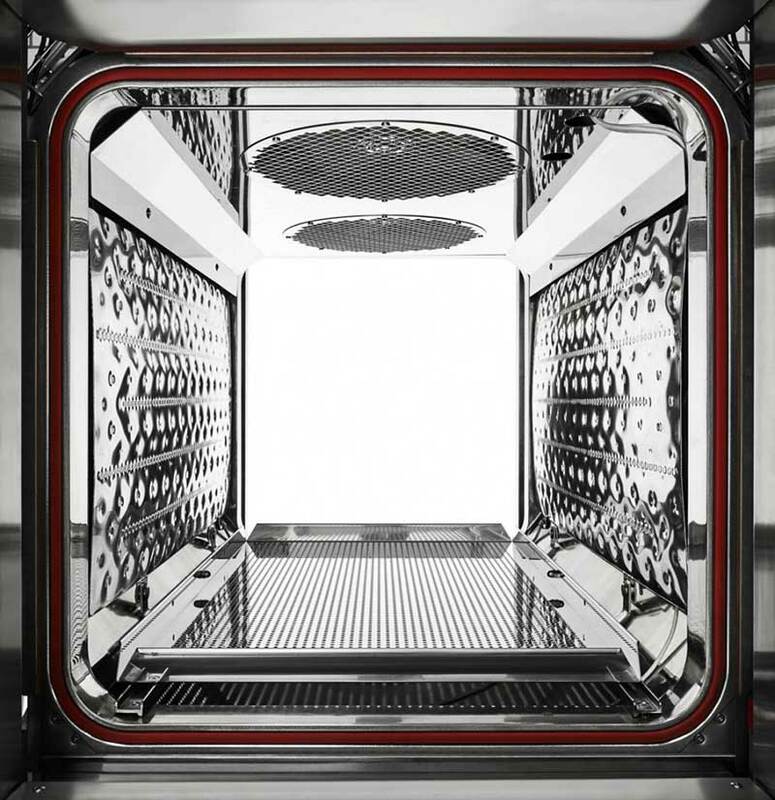 FOB5 lab sterilizers have two high-efficiency internal AISI 316L stainless steel plates which can be used as heat-exchanger system for steam preheating, to cool the chamber temperature down by using cold water. Moreover – as an option – these plates can be used to perform final drying. 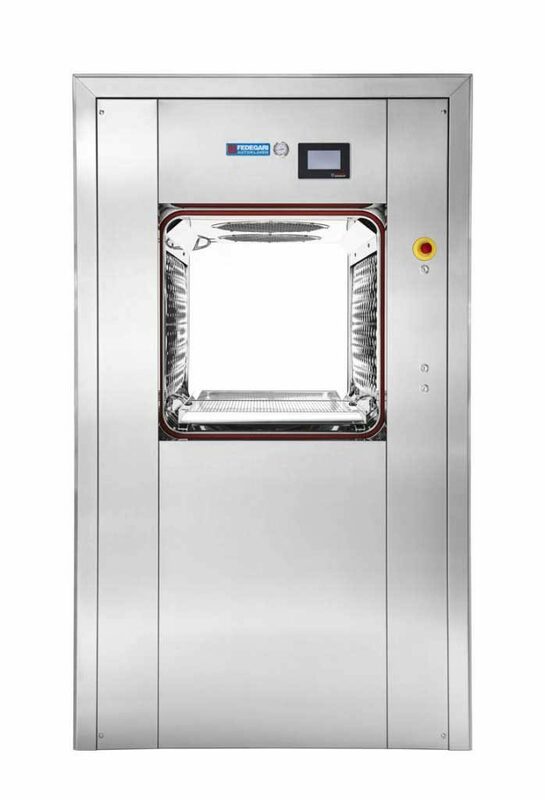 FOB5 autoclaves are made of AISI 316L stainless steel as well as pneumatic valves and hydraulic components, all electropolished at sanitary grade. 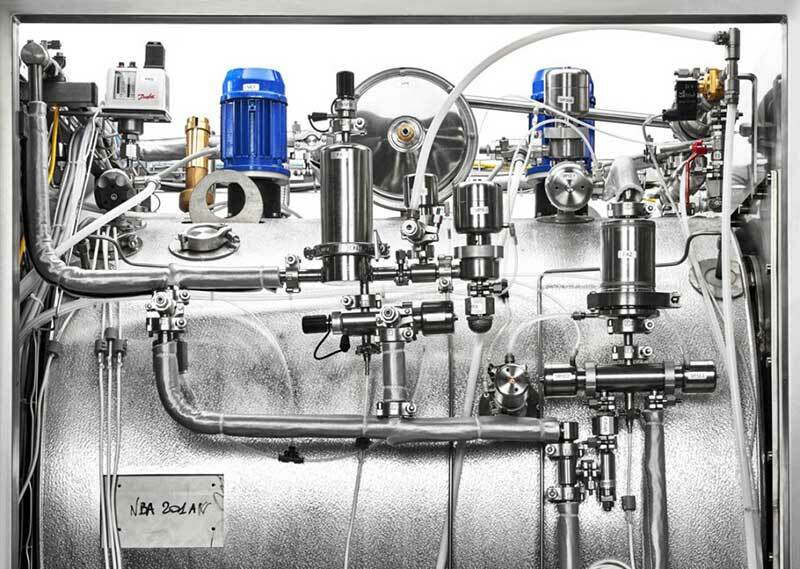 FOB5 is equipped with Thema4Lab process controller, engineered and pre-validated by Fedegari according to GAMP5. 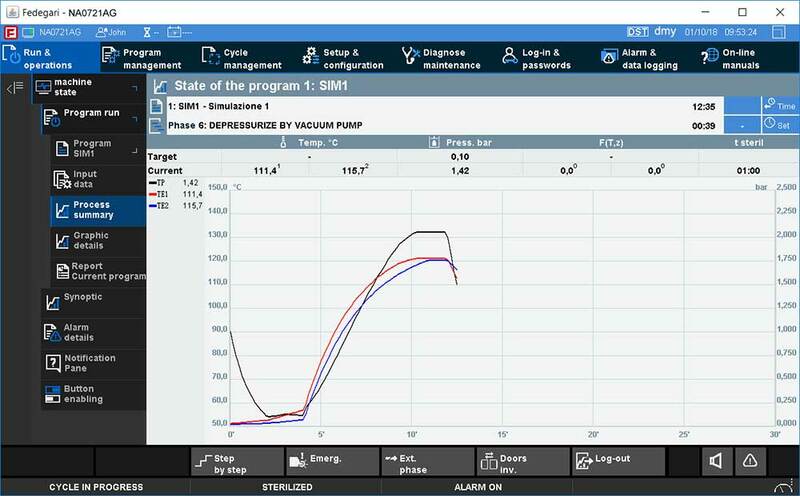 Thema4Lab is the most advanced process controller for lab applications. It is based on a wide library of phase groups developed by Fedegari thanks to its experience in the pharmaceutical industry across 60 years of history. 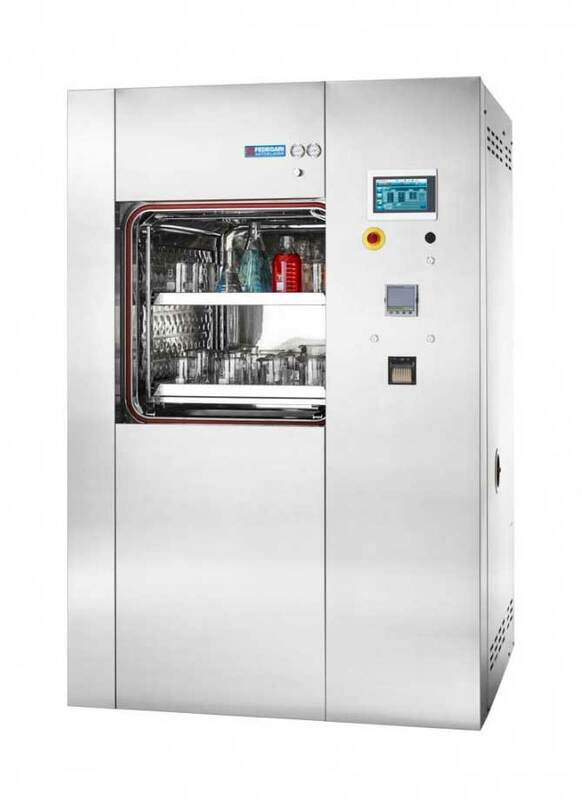 Thema4Lab process controller is available for FGW Glassware Washers and FOB5 steam sterilizers, making training and maintenance easier for Fedegari machines. Vertical position of filters avoiding frequent rupture. High tech chamber and door construction. 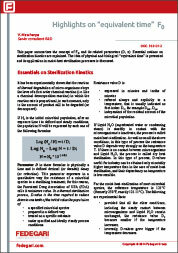 Suitable for BSL 3–4 laboratories. High process reliability. External trolleys fully compatible with FGW Washers.